Bear Conflict Solutions and partners are pleased to announce the completion of the 25-minute documentary Living with Wildlife. “The idea for this project came after Alberta Environment and Parks (AEP) held the Western Black Bear conference in Canmore and toured the visiting biologists from all over North America to see our garbage systems, attractant management program, highway fencing and crossing structures and wildlife corridors. They were just amazed at what we’d been able to accomplish in the Bow Valley,” says Jay Honeyman, Human Wildlife Conflict Biologist for AEP. The film illustrates how there is a culture around living with wildlife in the Bow Valley, described as the busiest place in the world where people and grizzly bears continue to coexist. The film also takes a realistic look at the challenges and the constant pressures wildlife face. 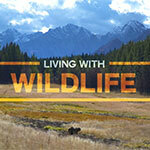 Living With Wildlife from Leanne Allison on Vimeo. The Bow Valley is the busiest place in the world where people and grizzly bears still coexist. ‘Living with Wildlife’ is the story of how communities in the Bow Valley of Alberta, Canada have come together over the past 20 years to live with grizzly bears and other wildlife. Partners on this project include The Calgary Foundation, Town of Canmore, Alberta Environment and Parks, Yellowstone to Yukon, Nature Conservancy of Canada, Canadian Parks and Wilderness Society and a handful of private donors.